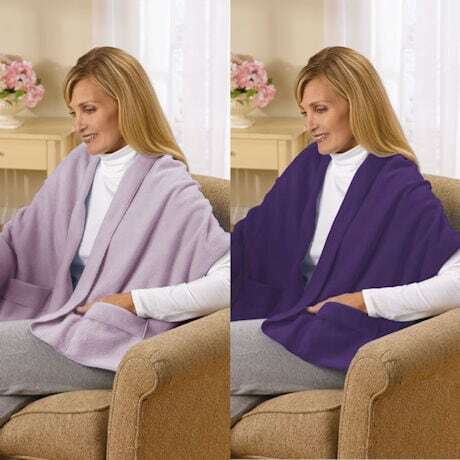 Stay warm while lounging around the house or strolling outdoors on a cool day. 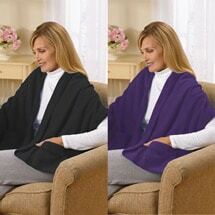 Soft, Arctic Fleece surrounds your neck, back and shoulders in total warmth. 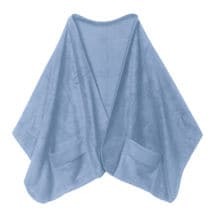 Two large pockets, on either side give you a place to comfort chilly hands. 100% Polyester fleece. Machine washable and dryable. Measures 20" x 58". Made in USA. One size fits both men and women.